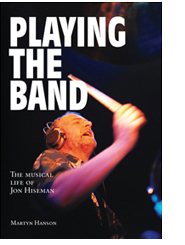 Playing The Band — The Musical Life of Jon Hiseman is published! 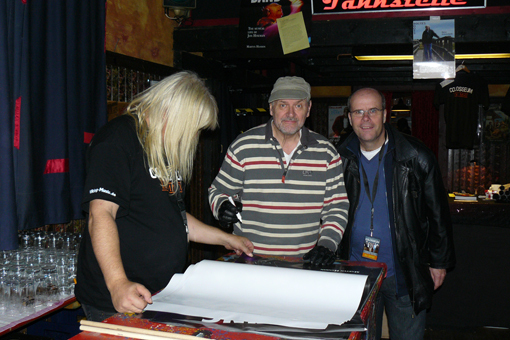 Martyn spent some time on the road with Colosseum during their late-2010 European Tour. Please click on the above images to enlarge. There is no doubt about it, I have done more travelling for Playing The Band than any other book I've written. I have been all over the UK and even journeyed to Alicante, Spain! Now that's dedication for you. I interviewed all current members of the band. 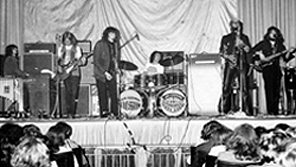 I have also spoken to all of the past members of the band, including Louis Cennamo — I can tell you he was hard to find. 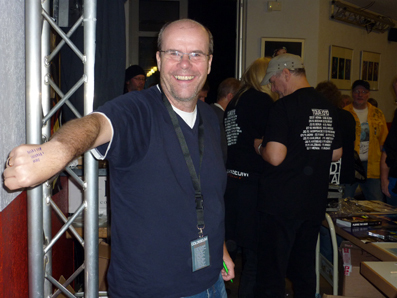 I even managed to find the original guitarist, Jim Roche, who was extremely helpful. Included throughout the book, thanks to Jon Hiseman, are an array of wonderful pictures and documents to accompany the text. My in-depth interviews with Jon were especially revealing and I came away with many hours on tape. The 2007 Colosseum tour went down well, with most gigs sold out. 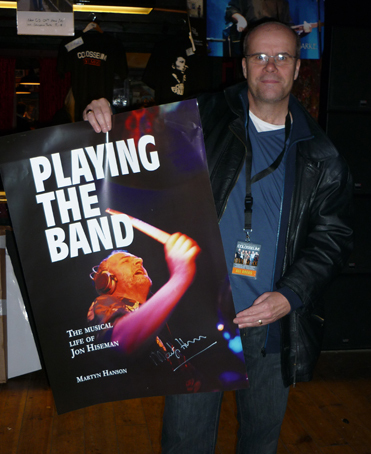 I spent several days on tour with the band and came away with many great memories. My tour report has now been posted on the site. The new album, Live05, sold very well on the tour and is available in the UK on the Temple Music website. The old material on the album sounds fresh, thanks to a Colosseum re-spray job. And don't forget, there's the Bread & Circuses and Tomorrow's Blues material as well. Dave Greenslade thinks it's the best album they have ever made. Another important aspect of the album is Barbara's debut with the band. 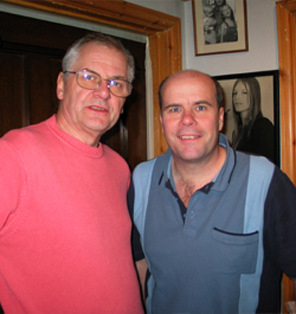 Above: Martyn Hanson with Jon Hiseman, Autumn 2006. Below: The 'definitive' line-up of Colosseum circa 1970/71.